The aDrive U3 provides a combination of cutting-edge technology, durability and flexibility. The incorporation of the latest USB 3.0 technology provides users with super fast transfer rates up to 10 times faster than USB 2.0. 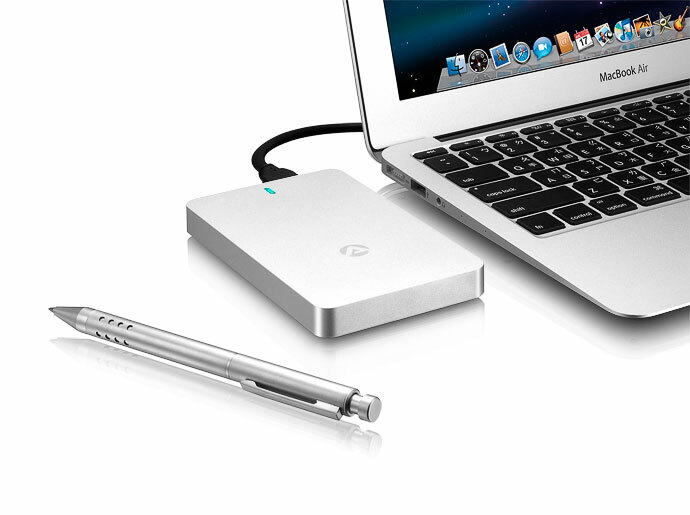 Slim, compact and simple to use, this portable drive is small enough to fit into your pocket. By incorporating USB 3.0 SuperSpeed technology and UASP, AKiTiO’s aDrive U3 is able to easily break the USB 2.0 barrier, delivering up to 10 times the speed of the older USB connection. At the same time, it is still backwards compatible with the widely used USB 2.0 technology. To achieve the best possible transfer rates, make sure that the USB 3.0 host also supports the UAS protocol (UASP) and use one of the latest operating systems like Windows 8 or Mac OS X v10.9.